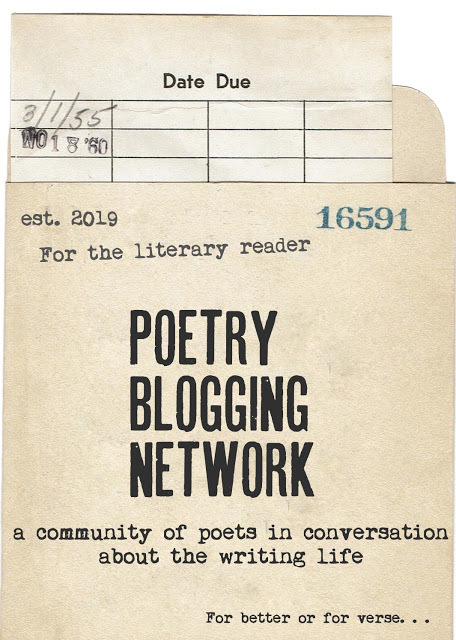 Sunday Scribblings: Is it to late to be poet laureate? No one ever says, “When I grow up, I want to be U.S. Poet Laureate of the United States.” But in college, that’s exactly what I wrote in my journal. It feels strange to admit that I want to do more than write for myself. I want people to like my work. Next to being a successful wife and mom, being a successful poet is at the top of the list. And as much as I enjoy writing for me, I really appreciate the acknowledgement of a job well done. You’re probably reading this to yourself saying, “Duh! Isn’t that why you blog? Well, yes, it is. But I came from a generation of writers who would never admit to wanting success. Have you ever heard of a poet talk about being ambitious? Have you ever heard of a poet talk about poetry as a business? Probably not. So for me, the pinnacle of success as a poet is a laureateship. Not that the position will bring me greater financial security. The poet laureate’s position pays a stipend of $35K, paid for by an endowment (no public monies used). I believe poets are nominated to and selected by the U.S. Library of Congress’ (LOC) laureate committee, and then the nomination is ratified eventually by the U.S. Congress. The poet laureate has to give a public reading and be instrumental in setting up the reading series. There's an office somewhere. Maybe there's an assistant ...? In more recent years, the laureates have done some really cool things for poetry in this country. Rita Dove (1993-1995) gave poetry readings to high school students. Robert Pinsky (1997-2000), a three-time laureate, expanded the position with the creation of the Favorite Poem Project. Billy Collins (2001-2003) created Poetry 180, a project to encourage reading poetry in high schools. Ted Koosler (2004-2006) created a free, weekly newspaper column called American Life in Poetry. And soon-to-be Poet Laureate Donald Hall has talked about creating a cable TV show or satellite radio program on poetry. Imagine that? As a poet, who wouldn’t want to follow in those footsteps? Imagine all the different ways a poet laureate can reach people. Deep down, I’d like to think that my words and your words affect change. That if the right advocate is in place, everyday people will clamor to read poetry. They again will believe in the power of words. And maybe, just maybe, the right words in the right ears will make health care universal, make stem stell research legal and well-funded, and make poverty a distant memory. I think that's a fabulously COOL ambition!!! Not only is that a cool ambition, but from reading your works, on your blog, time and time again, I think you have the potential of making it. So pursue your dream. Of course you can be Poet Laureate -- most of the poet laureates I can think of have had long careers before given the title. So, it is no way too late. Just make sure that you are also GOOD -- I believe you are good, but don't sacrifice your aesthetics for popularity. You are what you say - what you say, will be. If you say you will be poet laureate, you will be! I believe it! "As you dream, so shall you become" is the apt quote here. Billy Collins came to my daughter's school in Paris to speak and even kids who thought they didn't like poetry wrote poems and discovered that in fact they did like poetry. I especially like the last sentence of your piece. Eloquent and powerful. wow - what a goal! Get on with it - I know that you have the talent and the interest, and I can't wait to see what changes you make in the world!! Well, American poet laureate sounds like it has more clout that the English laureate role. This is a lifetime 'honour' where one is paid a few hundred pounds (!) a year out of the Queen's coiffers, and the main role (as I see it) is writing poems about royal events. Errr, no thank you. That's definately a great ambition. Like you said, what are you waiting for? Good luck and keep aiming high! Love the post--well said, great idea. Are you familiar with the poet Dana Gioia? If not, check out his essay "Can Poetry Matter?" What a wonderful goal -- I'm rooting for you! I was glad to read about someone else admitting they write partly for praise (though you said it more elegantly), but heck, I DO want people to like my writing and tell me (including my editor, who will hopefully learn that I need a little praise thrown in with the criticism! ), and I do want to share it. Also, I heard Robert Pinski read a few times at the bookstore where I worked in college and bought a few of his books. They were fabulous. I also got to hear Robert Hass (Haas?) and Stephen Mitchell and Brenda Hillman who were all local. There's nothing like hearing a poet read his or her own work! I agree, the Laureates have done some cool things for poetry. But you certainly don't have to be a Poet Laureate to do cool things! You always have insightful, interesting posts that inspire people to investigate ideas further. Who knows how many people you've already influenced, people who don't leave comments but click on one or two of your links and get inspired? If I could vote for you, I would! There is a world of good you could do with your enthusiasm for the post. Go for it! ... And doesn't each state have a poet laureate too? Commongal: Well said. The position wouldn't be any fun if I sacrificed aesthetics and technique for popularity. Paris (Tara): Billy Collins has a way of getting people to listen to poetry who wouldn't normally listen. I wish I had his ease about the topic, but maybe that will come in time. JBlack: Thanks for the link. Cool. Twitches--I hope I get to do cool poetry things before I become laureate. I've thought of starting a journal or online mag, but I just don't have the time. But I'm always looking for the opportunity. For those new or those returning, thanks for all the great comments. Hope to check out everyone's blogs in the next 24 hours. And I'll be delighted to say I knew you when. Your poetry consistently leaves me in awe with its power and beauty. one of the first thing I thought about you..when I first starting reading you blog was ..."How cool..That she named her blog Poet MOM" I knew that YOU knew who you were and what you will be...You do know..now, Go get it!! I think you are definitely on your way! Hey, you've expanded my world to include poetry a few times a week when I check out people's Poetry Thursday posts! I'm late to the party, but I agree with the other posters--fabulous ambition...IF YOU WANT IT, GO FOR IT!!! Hey, Ted Kooser worked in insurance all those years, plugging away at his craft...believe, believe, believe. And, of course, write in equal shares.